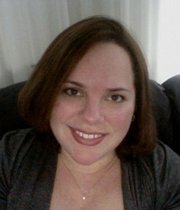 Jennifer Cunningham, LCMFT is the founder and clinical director of Journey’s Crossing Counseling. She has been working in association with Journey’s Crossing for 5 and 1/2 years. She holds degrees in Christian Counseling, Psychology, and Marriage and Family Therapy. Additionally, she has a specialization in Medical Family Therapy and is also a Certified Burris Life Coach. Currently she is a practicing Licensed Clinical Marriage and Family Therapist with the State of Maryland. Jennifer approaches therapy from a Brief Therapy Model, which means she believes in working to help equip you to reach your goals and once you have accomplished that, then you can move on or work to reach new goals in therapy. Her specialties are: Relationships (individual, couple, and family issues), Grief Counseling, and Life Coaching. Journey’s Crossing Counseling Office hours are regularly on Monday through Tuesday and Thursday through Saturday. For more information or to make an appointment please contact Jennifer at jennifer @ journeyscrossing.org.